The Plaza de Armas is ground zero for tourists visiting Cusco en route to Machu Picchu. Surrounded by restaurants, souvenir shops, and tour company offices, it's also a popular meeting point since everybody is staying in the same area. 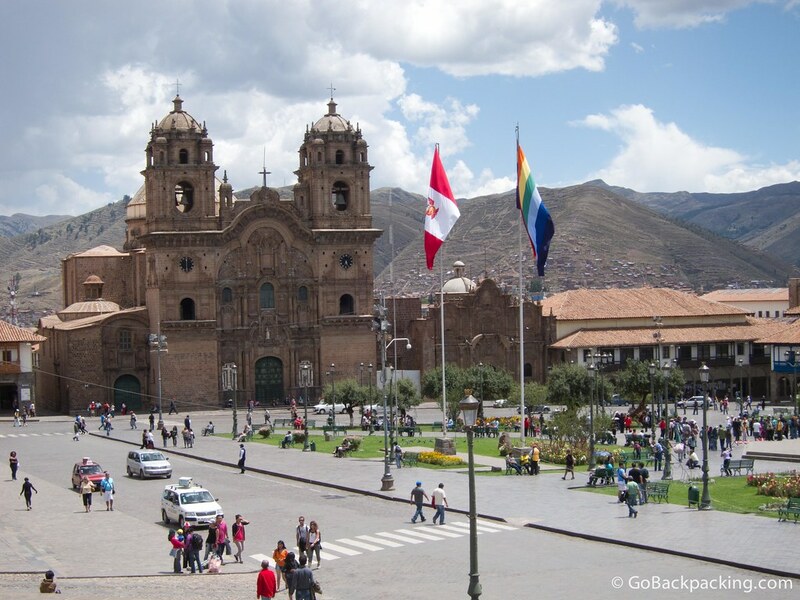 The Peruvian national flag is red and white, while the city flag for Cusco reflects the colors of the rainbow (and is often mistaken for the flag which represents gay pride).